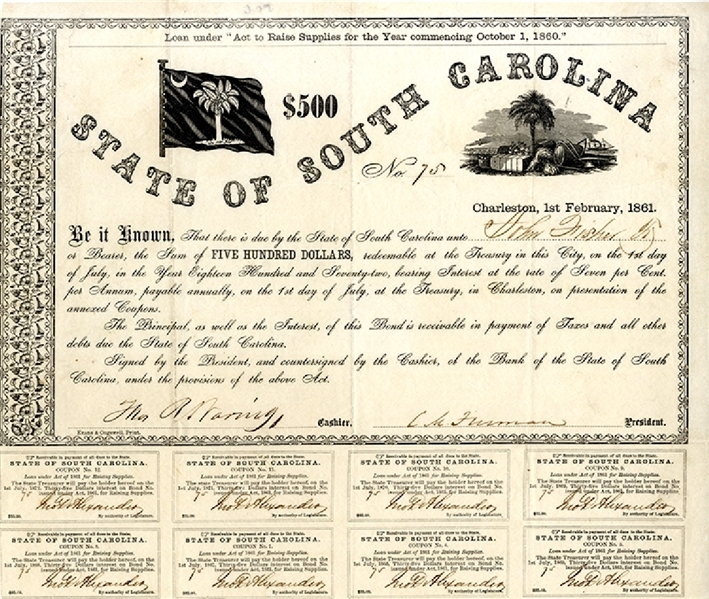 State of South Carolina $500 bond, Charleston, South Carolina, February 1, 1861, with nice image of the Palmetto flag. Signed by cashier and president. Printed by Evans & Cogswell. Eight coupons. Fine condition.